Berkeley  Linus Pauling's claim that megadoses of vitamin C can prevent colds remains unproven, yet high doses of some vitamins could play a big role in the treatment of disease and perhaps slow the effects of aging, according to a University of California, Berkeley, biochemist. In a review article in the April issue of The American Journal of Clinical Nutrition, UC Berkeley's Bruce N. Ames lists more than 50 genetic diseases successfully treated with high doses of vitamins, most of them rare inborn metabolic diseases due to defective enzymes. Ames found a common thread in the effectiveness of these megavitamin therapies that suggests there may be many more diseases treatable with high-dose vitamins, in particular the eight B vitamins like niacin, thiamine and pyridoxine. And because aging involves similar biochemical deficiencies, megavitamins may help perk up an increasingly older population. "I suspect that the big impact is going to be in aging," Ames said, though younger people, too, might benefit from supplementary B vitamins to "tune up" their metabolism. 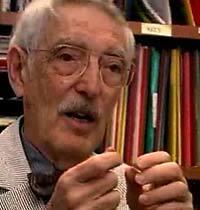 Ames is a professor of molecular and cell biology at UC Berkeley and a researcher at Children's Hospital Oakland Research Institute (CHORI). Megadose vitamin therapy is the use of vitamins in amounts considerably greater than the recommended daily allowance, or RDA. Ames noted that many B vitamins are sold over the counter in high dosages and are generally considered safe at such levels, although side effects have been reported after taking very high levels of some of them, such as pyridoxine and niacin. In his paper, co-authored with recent UC Berkeley graduate Ilan Elson-Schwab and former CHORI technician Eli A. Silver, Ames argues that the key to the effectiveness of high-dose vitamin therapy lies in the role vitamins play in the body. Vitamins are converted to coenzymes, which team up with enzymes to perform some essential metabolic function. As Elson-Schwab found in a computer sweep of the literature, about 50 diseases result from a genetic mutation that reduces the ability of an enzyme to bind to its coenzyme, thereby reducing the rate at which the enzyme catalyzes a molecular reaction. Saturating the body with high doses of the appropriate vitamin increases coenzyme levels to overcome the binding defect and boost the reaction rate towards normal. Asians who turn beet red after drinking alcohol can chalk it up to a genetic variation, or polymorphism, that prevents them from quickly metabolizing alcohol. This probably is responsible for the low incidence of alcoholism in Asian countries, but it also contributes to higher rates of oral, throat and stomach cancers. Vitamin B-3, or niacin, might help alleviate the problem, Ames said. More. Though packed with protein and fiber, beans have always been problematic. In the 6th century BC, the Greek geometer Pythagoras even founded a cult that prohibited the eating of fava beans, the main bean in the Mediterranean at the time. Ames thinks Pythagoras based his proscription on a common medical problem triggered by eating fava beans, and suggests that some forms of the problem are caused by defective binding between an enzyme and its niacin-based coenzyme. More. "These 50 diseases are just the tip of the iceberg," Ames said. "Individual doctors have noticed this, but nobody put it all together. Now, doctors are going to try high-dose vitamin therapy the minute they know a coenzyme is involved in a disease or there is a problem with the substrate. It makes sense, since many of the vitamins are generally recognized as safe in large doses. I think this kind of thing will turn up all over once people start looking." In the paper, Ames and Elson-Schwab estimate that up to one-third of all mutations in a gene may affect binding to a vitamin-derived coenzyme, which means that high-dose vitamin therapy might reverse the effects of these mutations. The theory has far broader implications than just the treatment of genetic disease. The human genome is rife with genetic variation that probably affects enzyme-coenzyme interactions, and thus vitamin requirements. High-dose vitamins might tweak enzyme functioning enough to improve the health of many segments of society, Ames said. Eliminating vitamin and mineral deficiencies will restore what he calls "metabolic harmony." "Zinc and iron deficiency, vitamin C, B-12 and B-6 deficiencies are very common," he said. "Yet, a multivitamin pill costs only a penny to make - you can buy a year's supply for ten dollars. Everybody in the world should take one as insurance and try to eat a good diet." Flooding the body with an excess of some enzyme cofactors may perk up the aging body, too, since aging is accompanied by oxidative damage to many proteins and enzymes. Last month, Ames and his colleagues reported in Proceedings of the National Academy of Sciences that aging rats responded to treatment with an antioxidant, alpha-lipoic acid, and another substance, acetyl-L-carnitine, that binds to an important enzyme in the energy-producing organs of each cell, the mitochondria. Treated mice were more energetic and had better memory. The extra acetyl-L-carnitine, he said, compensates for the defective binding of the enzyme, carnitine acetyltransferase. Together, these two play a key role in burning fuel in mitochondria. Ames first suspected that enzyme/coenzyme binding might be at the root of many diseases while teaching an undergraduate laboratory course in biochemistry 30 years ago. As students isolated mutant microbes and characterized the defective genes, they found that many coded for enzymes with a problem binding to a cofactor. In Elson-Schwab, Ames found an energetic undergraduate able to search the literature for diseases that fit this scenario and to locate biochemical data indicating a cause. Of the 50 diseases he tracked down, 11 respond to pyridoxine, or vitamin B-6. These include enzyme diseases that lead to blindness, mental retardation, kidney failure and developmental problems. In all of these, scientists have pinned the disease to a problem in how an enzyme binds to a cofactor derived from vitamin B-6. The authors point out that, of 3,870 known enzymes, 22 percent use cofactors and 112 of those utilize B-6. There may be diseases associated with every one of these enzymes, each treatable, to some degree, by megadoses of B-6 or another vitamin or cofactor. Also, due to genetic variation, some people have enzymes with less coenzyme binding affinity than normal, and thus are able to benefit from high doses of particular vitamins. The authors found 22 other diseases caused by defective binding to a cofactor derived from a B vitamin, including thiamine (B-1), riboflavin (B-2), niacin (B-3), cobalamin (B-12) and biotin (B-7). Video: Why do people take megavitamins? "What's interesting is, health food stores sell B-100 pills with 50 times the normal requirement for vitamin B-6, which is about a milligram. It never made much sense to the nutrition community, and yet the public is buying these pills. Why? "Maybe somebody just feels better when they take these high B-vitamins. All the neurotransmitters in the brain, such as serotonin, use vitamin B-6. So maybe when you take high levels it raises serotonin levels in the brain. There is some evidence for that." Ames said individual doctors have noticed the connection between coenzyme binding problems and response to high-dose vitamin therapy, but no one had put all the puzzle pieces together. Pauling even suggested, with little evidence, that much mental illness may be due to deficiencies of some micronutrients, and that brain dysfunction may involve mutations that affect enzyme-cofactor binding. In order to stimulate discussion of their ideas, Ames and Elson-Schwab have created a Web site - http://www.KmMutants.org - where scientists and lay people alike can share information about megavitamins and illness. Provided physicians use safe dosages, "there is potentially much benefit and possibly little harm in trying high-dose nutrient therapy because of the nominal cost, ease of application and low level of risk," the authors concluded in their paper. The research was funded by grants from the Ellison Foundation, the National Foundation for Cancer Research, the Wheeler Fund of the Dean of Biology at UC Berkeley and the National Institute of Environmental Heath Sciences Center, funded by the National Institutes of Health.